Important article en Polonais dans le quotidien "Dienik"
Le livre "Globish the world over" a été, très vite après sa publication, traduit en polonais par Wioleta Antecka, une étudiante qui venait de produire une thèse de doctorat sur ce sujet précisément. Ses professeurs l'avaient encouragée dans son choix de thème, désireux d'apporter un éclairage sur les faits, et sur les implications d'un sujet dont l'émergence est perceptible et indiscutable, dans leur pays comme ailleurs. "Dienik" est le premier quotidien polonais. Sa journaliste, Anna Scotsman, envisageait un court article sur le sujet du globish, et a commencé par un échange de correspondance avec Jean-Paul Nerrière. La première version de son texte a suscité intérêt et curiosité chez son rédacteur en chef, qui a réclamé quelque chose de bien plus substantiel. D'où un copieux interview dont rend compte l'article suivant, présentant en seconde partie le texte en polonais, et au début une traduction en anglais obtenue à l'aide du traducteur automatique rendu disponible par Google. You're the father of the concept of "globish. What is this? This is a simplified variant of English that you speak with people from non-English speaking countries. This language is not my invention, evolved by itself and is becoming more popular. 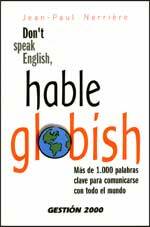 When you understand that the world does not speak English, only in globishu? 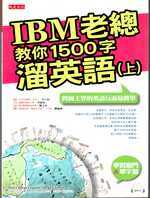 The year was 1989, and I was deputy chief of the U.S. IBM responsible for international marketing. Many traveled to the Far East, to Japan, China, Korea. She has always been with me a group of colleagues. All were from English-speaking countries, I am French. First thing noticed is that our partners from the East clearly preferred to talk with me than with my colleagues. Maybe you were just sympatyczniejszy? The point is rather that they understood me better than them. I really saw it. There was no question of any compromise language. No one need fear that he will lose face, because I ranked among linguistic blunders, one after the other and not bothered about it. It did not take a few minutes of our meetings and Oriental caller stopped being tense, psychological disengagement. Although in theory, all at the table spoke in English or in what was supposed to be English, quickly realized that language, which spoken in the United Kingdom and the United States - not here in wchodźmy national discussion about the correctness and superiority - and English, which says the rest of the world, it's not the end of the same. They sound similar, but it we use it only as a communication tool. I decided that it requires a separate name. It was also here is that native English speakers also felt that they were dealing with a foreign language. Well globish hatched. Probable vocabulary of around 1,500 commonly used words. And are those that make up the entire family. For example, the "use" you can easily create a "used" and "useless", "waste" and many others. Together with the derivatives replaced by the dictionary gets more than five thousand words, and that's really a lot. Most well-educated French uses only 3500 words, and there are those who lucky enough to only 800! Is there any globishu index of banned words? There is no such thing, but the words are recommended and discouraged. 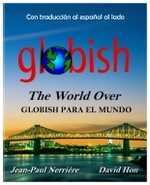 Globish is like a diet, it tells you what you should follow in order to be understood. And as for diet, the higher the derogation, the harder to reach the planned results. How is the Polish "niece"? Spanish for "sobrina" and the French a "niece," but is pronounced differently. But can not you learn that word? But when we talk in English with a resident of Madrid, is more likely that we will be understood if, instead of the word "niece" we use the more descriptive "sister's daughter." I suspect also that we do not lose much, replacing the more sophisticated term dainty (urbane, sophisticated) to a much simpler nice (nice, nice). I know, for example, the English term cassock, or cassock, once I had to learn it in school. But I have not used it in the past 20 years, never once. In the case of describing the exact emotion or family relationships unless you are right. But what about the language used in corporations, trade and business? You know perfectly well that the situation often requires more than a basic level of language. Globish, of course, does not reject the jargon. Yet it is difficult for us in dealing with foreign partners gave up a specialized vocabulary, for example, characteristic for the foodservice industry and computer manufacturing. Moreover, the manual for globisha next to the words that everyone should know, we present additional kits, which should be familiar with representatives of specific social or professional groups. So if you work in finance, you need to know what it means to liability (responsibility, commitment such as legal, financial), but does not need to use the word teach someone who is traveling with a backpack around the world. 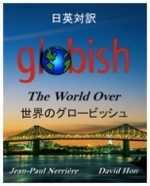 Moreover, in the case is different philosophy globisha linguistic communication. If all we use in English literature, we assume that we know how many words, idioms and complex structures, and as someone we did not understand his problem. 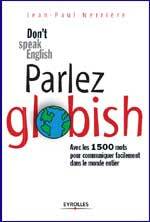 Globish transfers the responsibility for communication to the person speaking: I have to say yes, to be understood. This is particularly important in the case of contacts with business partners. The second important principle is the basis for globisha "Enough is Enough," or "quite satisfied". I do not know the language perfectly, I know him enough to be able to communicate with others. It is important to be an efficient and effective. Teachers do not forgive you. 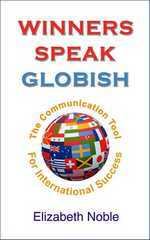 Globish has no ambitions of being a full-fledged language, because it is an object of culture, a tool that is used to promote it. If you wish to fully admire, reading Oscar Wilde or John Milton's original, you do not have issues - you need to learn English. 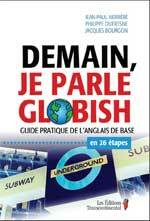 But if you want to do business in Paris or Istanbul, hold on globisha. For the purposes of business or pleasure enough. Because if you start to express the way you just graduated from Oxford, you may find that you will have the same problems as my British colleagues in talks with partners in Tokyo or Beijing. Exactly. 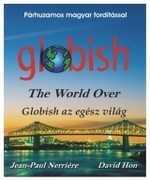 In his book "Globish worldwide," also published in Polish, you say that native speakers may have a problem. It refers you to the report, "Polski next" developed by the British Council, which says that their pronunciation is no longer the benchmark for discovering the English. Moreover, only about 10 percent. 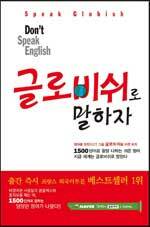 native speakers learn a second language, which poses a serious threat to them in the labor market. Until now we thought that the native speakers - please forgive the use of the idiom - the gold standard of English. Schools seemed very much money to hire such people, often without looking at their pedagogical competence, but is suggesting that, say, as Elizabeth II. And we, foreigners, wkładaliśmy lot of effort into polishing accent. But the question is not, we pretend the British queen. Indeed, this very attainable goal. Not to mention the fact that Americans speak differently, unlike the Australians, Canadians differently. So which accent should be copied? Maybe the U.S., taking into account the importance of the U.S. economy and the flow of their culture? No. The correct answer is: none. We should focus on teaching the pronunciation to be understood. That's all. My French accent is a strong part of me. When I speak, I do not have to pretend that I am British or American, as long as know what I mean. If the world would be so, as you say, go bankrupt all the branches of the economy based on the teaching of English. In China alone, where he teaches him about 300 million people, is - as is clear from McKinsey & Co. report. - Business worth $­­ 2.1 billion per year. It is not about to stop teaching English at all, but to change the teaching methods. Once you come to the school language, start learning some stage, it does, you go to the next and so forth. Once you get the feeling that you know English, the school tells you: "But how could! is still level up. " This teaching has no end. A teacher in you globisha wpoi 1500 words, and after 6 - 12 months after starting study finds: I do not want to see you anymore. 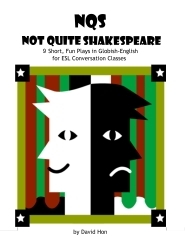 In classic English must be at least 4 - 5 years, and in fact is a project for life. Sam I learned it 40 years and still have problems. But do we really had to take time to remember the words such as "quislingism" (collaboration) and "ulotrichous" (so says the curly and woolly hair)? But I do not doubt that willing to learn English at such an advanced level, not lack. Not only among fans of British literature, but also, for example, among those for whom knowledge of Oxford is still a determinant of social status. People in senior positions, senior managers and intellectuals from additional education certainly did not give up. Are there any teachers globisha? On this basis, for example, learns the most intensive courses. 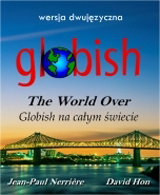 "Globish around the world," manual, which I wrote with David Honem, one year after the year the market has been translated into ten languages, including Polish (is bilingual). We have also developed interactive courses on computer and mobile phone. 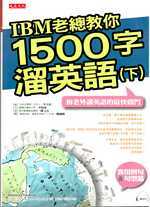 They assume that the initial knowledge fluctuates around 350 words, learn the next step. 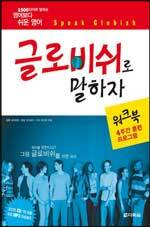 Globisha idea is popular in Korea, where he deals with this one from the university. How many people in the world uses globishem? It is difficult to state clearly, but I estimate that around 500 million. Aware of this fact is much less, although the word globish increasingly appears in the media. France is interested in this topic about 20 thousand. people. Our site is 565 thousand. visitors, and a list of 1500 words has already been downloaded by tens of thousands of times. Very useful is also the Word Web, which can be downloaded from the web for free. It's such an interactive thesaurus. Lies in the fact that when we read the text in English and did not understand a word, simply double-click your mouse to display a list next to the thesaurus. In this way we learn new, and of help yourself. It's main assumption globisha. You are terribly pragmatic, but is that such thinking does not appeal the case laziness? Whence again! Only experience, especially business, and the desire for effective communication. Yet because I am not opposed to language learning. Quite the opposite. It seems to me that we spend too much time on learning English, rather than take the tuition of some other language. But not so as to be better understood when the divisions will go on vacation, but to expand our cultural horizons. But now is so that when we read books in foreign languages, especially after we reach England. We do not realize how beautiful it is literature Spanish, Japanese, or Russian, which we can not fully enjoy because I do not know the language, and thus the authors of these works of culture. And who said that Shakespeare is better than Cervantes? Or from Confucius. 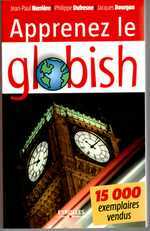 Are not you afraid that before globish have time to master, you will need to switch to Mandarin? Probably never see it anymore, because I have 70 years, but I have no doubt that you will live in an era in which China will be the first in the world economic and military power. But here we return to this, as I said earlier: the most important thing is communication. And this is much easier in English than in Chinese, so do globish remain dominant. Do not worry, you do not even have to learn Chinese characters. Unless you will want to make a unique impression on their Chinese friends or contractors. 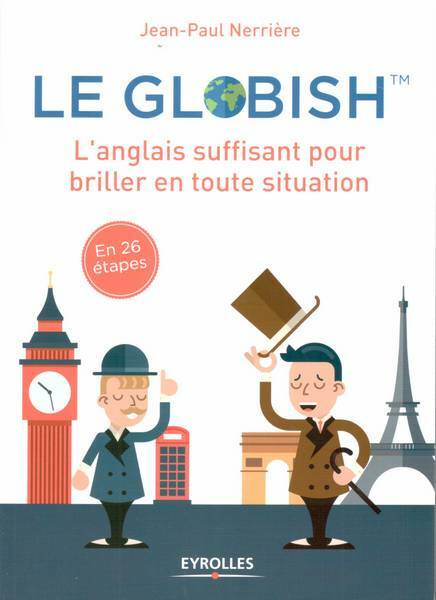 This may sound stereotypical, but strange that the Frenchman is enthusiastic about English. It pragmatics! Of course, I can not remember two centuries of our dominance. Lingua franca, however, had no source of economic or political situation of France. It was rather about the age of enlightenment, which is predominantly intellectual - the finest works of this era were written in French. This ended in 1919 when the Treaty of Versailles was signed. Two of the three co-authors and major signatories, the British prime minister and U.S. president, by virtue of birth spoke English. Third, French Prime Minister George Clemenceau, had married an American. But then, moreover, not too long ago, it was still a moment when the French once again triumphed. When he took the Vatican to issue a new catechism of the Catholic Church (published in 1992) because the previous was from the fifteenth century, did not know which language shall be the base, or which will then make translations. They thought about Latin, Italian, English, but in the end decided to France, because it is the most precise. But every day is enough globish. For international communication is ideal. Are you suggesting that, for example, the European Union should translate all the documents in another language? When in my books I give quotations from the English texts, translate them into globish. But I realize that it is unrealistic in the long run, if only because the official statement would be much longer, because globish is a descriptive language. What impact will globish the global economy in the future? That can not be accurately estimated. 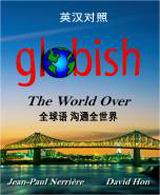 Globisha see a huge impact in the case of the so-called soft powers, that is, for example, trust, willingness to cooperate. I worked at several large companies, including Peugeot, Digital Equipment Corporation (DEC), now I see what is happening in developing countries. Western Europeans are increasingly eager to do businesses with the East, because longer detect the language barrier. And it comes not from an exceptionally high level of English, but largely just that we are more open and friendly to the other party with whom we want to get along. 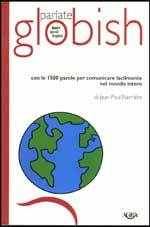 Jest pan ojcem pojęcia „globish”. Co to takiego? To uproszczona odmiana angielskiego, którą posługują się ludzie pochodzący z krajów nieanglojęzycznych. Ten język nie jest moim wynalazkiem, wykształcił się samoczynnie i staje się coraz bardziej popularny. Kiedy pan zrozumiał, że świat nie mówi po angielsku, tylko w globishu? Był rok 1989, a ja byłem wiceszefem amerykańskiego IBM odpowiedzialnym za marketing międzynarodowy. Dużo jeździłem na Daleki Wschód, do Japonii, Chin, Korei. Zawsze była ze mną grupa współpracowników. Wszyscy pochodzili z krajów anglojęzycznych, ja jestem Francuzem. Pierwsze, co zaobserwowałem, to że nasi partnerzy ze Wschodu wyraźnie woleli rozmawiać ze mną niż z moimi kolegami. Może był pan po prostu sympatyczniejszy? Chodziło raczej o to, że rozumieli mnie lepiej niż ich. Naprawdę to widziałem. Nie było mowy o żadnej kompromitacji językowej. Nikt nie musiał się obawiać, że straci twarz, bo ja zaliczałem wpadki językowe jedna za drugą i nie przejmowałem się tym. Nie minęło kilka minut spotkania i nasi orientalni rozmówcy przestali być spięci, odblokowali się psychicznie. Choć teoretycznie wszyscy przy stole rozmawialiśmy po angielsku albo w czymś, co miało być angielskim, szybko zorientowałem się, że język, którym posługują się mieszkańcy Wielkiej Brytanii czy Stanów Zjednoczonych – nie wchodźmy tu w narodowe dyskusje o ich poprawności i wyższości – i angielski, którym mówi reszta świata, to nie do końca to samo. Brzmią podobnie, ale my używamy go jedynie jako narzędzia komunikacji. Uznałem, że wymaga on odrębnej nazwy. Chodziło też o to, żeby angielscy native speakerzy również poczuli, że mają do czynienia z obcym językiem. No i wykluł się globish. Zakładane słownictwo to około 1500 najczęściej używanych słów. A przecież są takie, które tworzą całe rodziny. Na przykład z „używać” łatwo można stworzyć „używany”, „bezużyteczny”, „zużyty” i jeszcze wiele innych. Razem z wyrazami pochodnymi robi się w słowniku ponad pięć tysięcy słów, a to już naprawdę sporo. Większość dobrze wykształconych Francuzów używa tylko 3500 słów, a są tacy, którym do szczęścia wystarcza jedynie 800! Czy w globishu istnieje jakiś indeks słów zakazanych? Nie ma czegoś takiego, ale są słowa polecane i odradzane. Globish jest jak dieta: mówi ci, czego powinieneś przestrzegać, żeby być zrozumianym. I tak jak przy diecie, im większe odstępstwa, tym trudniej osiągnąć zaplanowany rezultat. Jak jest po polsku „niece”? Po hiszpańsku „sobrina”, a po francusku też „niece”, ale inaczej się to wymawia. Ale może wcale nie trzeba się uczyć tego słowa? Przecież gdy będziemy rozmawiać po angielsku z mieszkańcem Madrytu, istnieje większe prawdopodobieństwo, że zostaniemy zrozumiani, jeśli zamiast słowa „siostrzenica” użyjemy bardziej opisowego „córka siostry”. Podejrzewam też, że wiele nie stracimy, zamieniając bardziej wyrafinowane określenie dainty (wykwintny, wyrafinowany) na znacznie prostsze nice (miły, fajny). Znam na przykład angielskie określenie sutanny, czyli cassock, kiedyś musiałem się go nauczyć w szkole. Ale nie użyłem go w ciągu ostatnich 20 lat ani razu. W przypadku dokładnego opisywania emocji czy relacji rodzinnych chyba ma pan rację. Ale co z językiem używanym w korporacjach, handlu, biznesie? Przecież dobrze pan wie, że często sytuacja wymaga czegoś więcej niż podstawowego poziomu języka. Globish oczywiście nie odrzuca żargonu. Trudno przecież, żebyśmy w kontaktach z zagranicznymi kontrahentami zrezygnowali ze specjalistycznego słownictwa charakterystycznego na przykład dla branży gastronomicznej czy produkcji komputerowej. Co więcej, w podręczniku do globisha obok listy słów, które powinien znać każdy, prezentujemy zestawy dodatkowych, które powinni znać przedstawiciele określonych grup zawodowych czy społecznych. Jeśli więc pracujesz w finansach, musisz wiedzieć, co to znaczy liability (odpowiedzialność, zobowiązanie np. prawne, finansowe), ale nie musi się tego słowa uczyć ktoś, kto podróżuje z plecakiem po świecie. Poza tym w przypadku globisha inna jest filozofia językowej komunikacji. Jeśli wszyscy posługujemy się literackim angielskim, zakładamy, że musimy znać jak najwięcej słów, idiomów czy skomplikowanych konstrukcji, a jak ktoś nas nie rozumie, to jego problem. Globish przenosi odpowiedzialność za komunikację na osobę mówiącą: muszę powiedzieć tak, żeby zostać zrozumianym. To szczególnie ważne w przypadku kontaktów z partnerami biznesowymi. Drugą ważną podstawą globisha jest zasada „enough is enough”, czyli „dosyć wystarczy”. Nie muszę znać języka perfekcyjnie, muszę znać go na tyle, żeby móc się porozumieć z innymi. Ważne, żeby być sprawnym i skutecznym. Nauczyciele panu tego nie wybaczą. Globish nie ma ambicji bycia pełnoprawnym językiem, bo przecież ten jest obiektem kultury, narzędziem, które służy do krzewienia jej. Jeśli chcesz w pełni zachwycić się, czytając Oscara Wilde’a czy Johna Miltona w oryginale, nie masz wyjścia – musisz się uczyć angielskiego. Ale jeśli chcesz zrobić interes w Paryżu czy Istambule, trzymaj się globisha. Do celów biznesowych i turystycznych wystarczy. Bo jeśli zaczniesz się wyrażać tak, jakbyś właśnie ukończył Oksford, może się okazać, że będziesz miał takie same problemy jak moi brytyjscy współpracownicy w rozmowach z partnerami w Tokio czy Pekinie. No właśnie. W swojej książce „Globish na całym świecie” wydanej także po polsku, pisze pan, że to native speakerzy mogą mieć problem. Powołuje się pan na raport „English next” opracowany przez British Council, który mówi, że ich wymowa przestaje być wzorcem dla poznających angielski. Poza tym tylko około 10 proc. native speakerów uczy się drugiego języka, co stwarza dla nich poważne zagrożenie na rynku pracy. Dotąd uważaliśmy, że native speakerzy to – proszę wybaczyć użycie idiomu – złoty standard języka angielskiego. Szkoły językowe najwięcej pieniędzy wydawały właśnie na zatrudnianie takich osób, często nie patrząc na ich kompetencje pedagogiczne, ale sugerując się tym, że mówią jak Elżbieta II. A my, obcokrajowcy, wkładaliśmy dużo wysiłku w szlifowanie akcentu. A przecież nie chodzi o to, żebyśmy udawali brytyjską królową. To zresztą mało osiągalny cel. Nie mówiąc już o tym, że inaczej mówią Amerykanie, inaczej Australijczycy, inaczej Kanadyjczycy. Więc który akcent powinno się kopiować? Może amerykański, biorąc pod uwagę znaczenie gospodarki Stanów Zjednoczonych i wypływ ich kultury? Nie. Prawidłowa odpowiedź brzmi: żaden. Powinniśmy się skupić na uczeniu takiej wymowy, by zostać zrozumianym. To wszystko. Mój silny francuski akcent to część mnie. Gdy się wypowiadam, nie muszę udawać, że jestem Brytyjczykiem czy Amerykaninem, dopóki wiadomo, o co mi chodzi. Gdyby na świecie miałoby być tak, jak pan mówi, zbankrutowałaby cała gałąź gospodarki oparta na nauczaniu angielskiego. W samych Chinach, gdzie uczy się go około 300 milionów ludzi, to – jak wynika z raportu McKinsey & Co. – biznes wart rocznie 2,1 miliarda dolarów. Nie chodzi o to, żeby przestać uczyć angielskiego zupełnie, ale żeby zmienić metody nauczania. Gdy przychodzisz do szkoły językowej, rozpoczynasz jakiś etap nauczania, realizujesz go, przechodzisz do następnego i tak dalej. Kiedy już masz wrażenie, że znasz angielski, szkoła mówi ci: „Ależ skądże! jest jeszcze poziom wyżej”. Ta nauka nie ma końca. A nauczyciel globisha wpoi w ciebie 1500 słów i po 6 – 12 miesiącach od rozpoczęcia nauki stwierdzi: Nie chcę cię więcej widzieć. Na klasyczny angielski trzeba minimum 4 – 5 lat, a właściwie to projekt na całe życie. Sam uczę się go już 40 lat i wciąż mam problemy. Ale czy naprawdę musiałem poświęcić czas na zapamiętanie takich słów jak „quislingism” (kolaboracja) czy „ulotrichous” (tak się mówi o kręcących się i wełnistych włosach)? Nie mam jednak wątpliwości, że chętnych do nauki angielskiego na tak zaawansowanym poziomie nie zabraknie. Nie tylko wśród fanów brytyjskiej literatury, ale też na przykład wśród tych, dla których znajomość języka na poziomie oksfordzkim to wciąż wyznacznik statusu społecznego. Osoby na wysokich stanowiskach, menedżerowie wyższego szczebla czy intelektualiści z dodatkowej nauki na pewno nie zrezygnują. Czy są już nauczyciele globisha? Na tej zasadzie uczy się na przykład podczas większości intensywnych kursów języka. „Globish na całym świecie”, podręcznik, który napisałem wspólnie z Davidem Honem, w ciągu roku od ukazania się na rynku przetłumaczony został na dziesięć języków, w tym polski (jest w wersji dwujęzycznej). Stworzyliśmy również interaktywne kursy na komputer i komórkę. Zakładają one, że początkowa znajomość języka oscyluje wokół 350 słów, następnych uczy się krok po kroku. Idea globisha popularna jest w Korei, gdzie zajmuje się tym jedna z uczelni. Ilu ludzi na świecie posługuje się globishem? Trudno to jednoznacznie stwierdzić, ale szacuję, że około 500 mln. Świadomych tego faktu jest znacznie mniej, choć słowo globish coraz częściej pojawia się w mediach. We Francji interesuje się tym tematem około 20 tys. osób. Nasza strona ma 565 tys. odwiedzających, a listę 1500 słów ściągnięto już kilkadziesiąt tysięcy razy. Bardzo przydatny jest też program Word Web, który można ściągnąć z sieci za darmo. To taki interaktywny tezaurus. Polega na tym, że gdy czytamy tekst po angielsku i nie rozumiemy jakiegoś słowa, wystarczy dwa razy kliknąć myszką, by obok wyświetliła się lista wyrazów bliskoznacznych. Dzięki temu uczymy się nowych, no i ułatwiamy sobie życie. To przecież główne założenie globisha. Strasznie jest pan pragmatyczny, ale czy przez takie myślenie nie przemawia przypadkiem lenistwo? Skądże znowu! Wyłącznie doświadczenie, zwłaszcza biznesowe, i chęć skutecznej komunikacji. Bo ja przecież nie jestem przeciwny nauce języków. Wręcz odwrotnie. Wydaje mi się jednak, że za dużo czasu spędzamy na nauce angielskiego, zamiast wziąć się za naukę jakiegoś innego języka. Ale nie po to, by być lepiej zrozumianym, gdy w dane rejony pojedziemy na wakacje, lecz by rozszerzyć nasze horyzonty kulturowe. Przecież teraz jest tak, że jeśli czytamy książki w obcych językach, to sięgamy głównie po angielskie. Nie zdajemy sobie sprawy, jak przepiękna jest literatura hiszpańska, japońska czy rosyjska, którą nie możemy się w pełni delektować, bo nie znamy języka, a tym samym i kultury autorów tych dzieł. A kto powiedział, że Szekspir jest lepszy od Cervantesa? Albo od Konfucjusza. Nie boi się pan, że zanim zdążymy opanować globish, trzeba będzie się przestawić na mandaryński? Pewnie już tego nie doczekam, bo mam 70 lat, ale nie mam wątpliwości, że pani przyjdzie żyć w czasach, w których Chiny będą pierwszą na świecie potęgą ekonomiczną i wojskową. Ale tu wracamy do tego, o czym mówiłem wcześniej: najważniejsza jest komunikacja. A ta jest znacznie łatwiejsza w angielskim niż w chińskim, więc raczej globish pozostanie dominujący. Proszę się nie martwić, nie musi się pani jeszcze uczyć chińskich znaków. Chyba że będzie chciała pani zrobić wyjątkowe wrażenie na swoich chińskich przyjaciołach albo kontrahentach. Może zabrzmi to stereotypowo, ale dziwne, że Francuz jest entuzjastą angielskiego. To pragmatyka! Oczywiście nie mogę nie pamiętać o dwóch wiekach naszej dominacji. Lingua franca nie miała jednak źródła w sytuacji ekonomicznej czy politycznej Francji. Chodziło raczej o wiek oświecenia, czyli dominację intelektualną – największe dzieła tej epoki pisane były po francusku. Skończyło się to w 1919 r., gdy podpisywano traktat wersalski. Dwaj spośród trzech współtwórców i głównych sygnatariuszy, brytyjski premier i amerykański prezydent, z racji urodzenia mówili po angielsku. Trzeci, francuski premier George Clemenceau, miał żonę Amerykankę. Ale potem, zresztą niezbyt dawno temu, był jeszcze jeden moment, gdy francuski znowu zatriumfował. Gdy Watykan zabrał się do wydania nowego katechizmu Kościoła katolickiego (ukazał się w 1992 r.), bo poprzedni pochodził z XV w., nie wiedziano, jaki język ma być bazowy, czyli z którego będzie się potem dokonywać przekładów. Myślano o łacinie, włoskim, angielskim, ale w końcu zdecydowano się na francuski, bo jest najbardziej precyzyjny. Na co dzień jednak wystarczy globish. Do komunikacji międzynarodowej jest wprost idealny. Sugeruje pan, że na przykład Unia Europejska powinna tłumaczyć wszystkie dokumenty na jeszcze jeden język? Gdy w swoich książkach podaję cytaty z tekstów angielskich, tłumaczę je na globish. Ale zdaję sobie sprawę, że to na dłuższą metę nierealne, chociażby dlatego że urzędowe pisma musiałyby być dużo dłuższe, bo globish jest językiem opisowym. Jaki wpływ będzie miał globish na światową gospodarkę w przyszłości? Tego precyzyjnie nie da się oszacować. Olbrzymi wpływ globisha widać w przypadku tak zwanych miękkich kompetencji, czyli na przykład zaufania, chęci współpracy. Pracowałem w kilku dużych firmach, między innymi w Peugeot, Digital Equipment Corporation (DEC), a teraz widzę, co się dzieje w krajach rozwijających się. Mieszkańcy Europy Zachodniej coraz chętniej robią biznesy ze Wschodem, bo przestają dostrzegać barierę językową. A bierze się to nie z wyjątkowo wysokiego poziomu angielskiego, ale w dużej mierze właśnie z tego, że jesteśmy bardziej otwarci i życzliwi drugiej stronie, z którą chcemy się dogadać. les abréviations et raccourcis dans les "short messages" téléphoniques en anglais. Mérite d'être exploré, pour l'amusement, mais aussi pour comprendre la prononciation. Nombre de ces expressions écrites ne sont que les initiales des mots qu'elles veulent représenter. Mais beaucoup aussi s'expliquent par la prononciation, ce qu'émettrait oralement celui qui lirait les chiffres ou lettres les uns après les autres. Comme dans toutes les figurations ou "4" (quatre) signifie "for" (pour). Une autre manière divertissante de comprendre les sonorités de la langue anglaise. Amusez vous bien. Youtube n'est pas disponible en Chine, mais les citoyens de l'Empire du Milieu disposent d'une facilité équivalente appelée "Youku". Elle vient de mettre en ligne la vidéo enregistrée par Jean-Paul Nerrière, dans un environnement entièrement présenté en Chinois Mandarin. Deux articles en anglais parus en Corée sur l'anglais, son enseignement, et le globish. La Corée, terre d'élection du Globish.